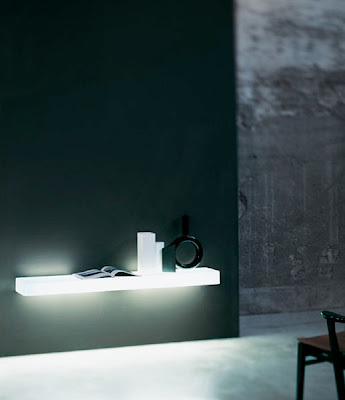 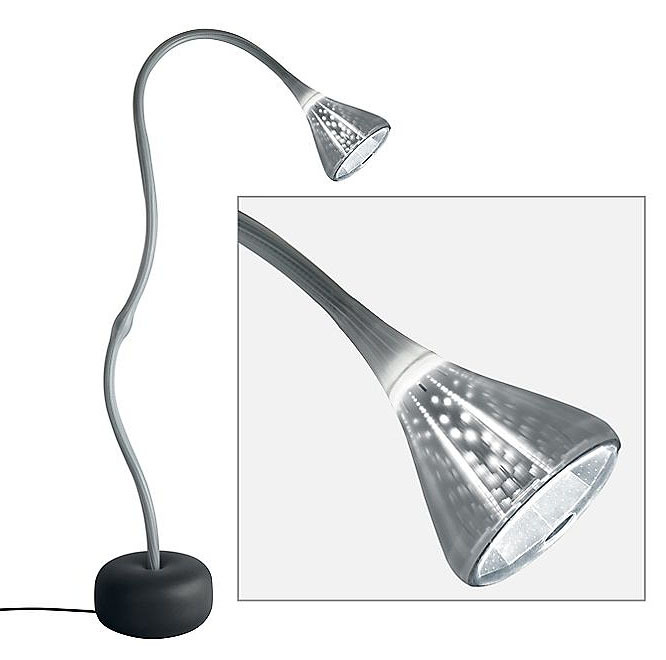 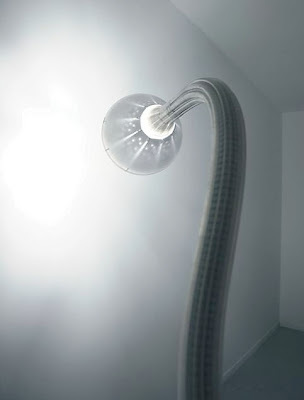 ARTEMIDE MODERN PIPE FLOOR LAMP - The Pipe floor lamp was designed by Herzog & Demeuron for Artemide in Italy. 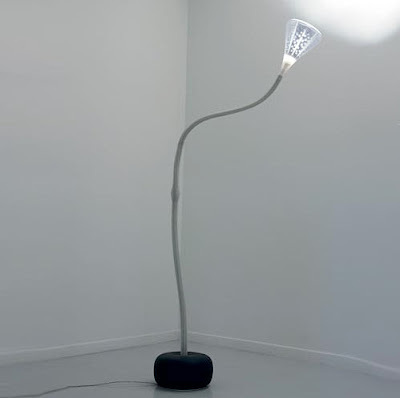 This is a floor standing luminaire for adjustable indirect or direct and diffused fluorescent lighting. 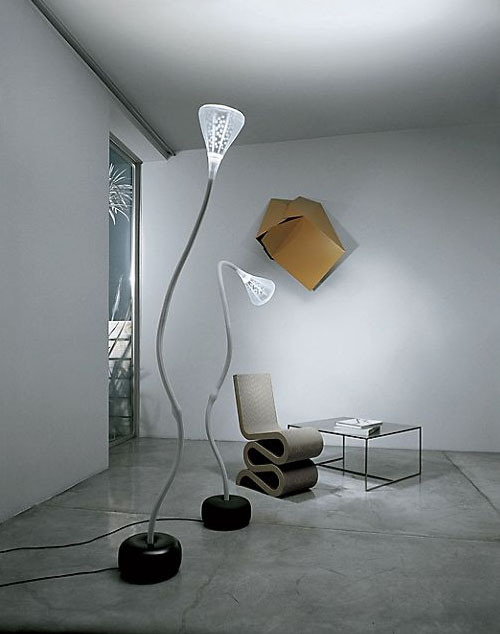 The floor lamp body structure is in steel with a gray lacquer finish, composed of a rigid lower section and an adjustable upper section enclosed in a translucent white silicon sleeve. The lamp diffuser is in molded translucent white polycarbonate with an incorporated anti-glare reflector in specular aluminum with micro-perforations for side-emission of thin beams of light. 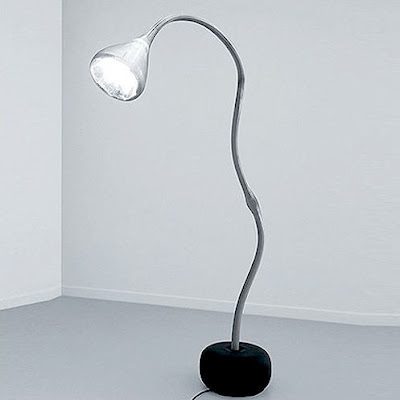 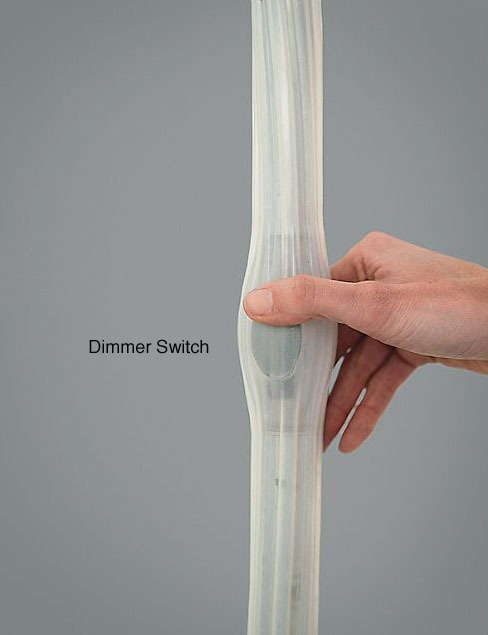 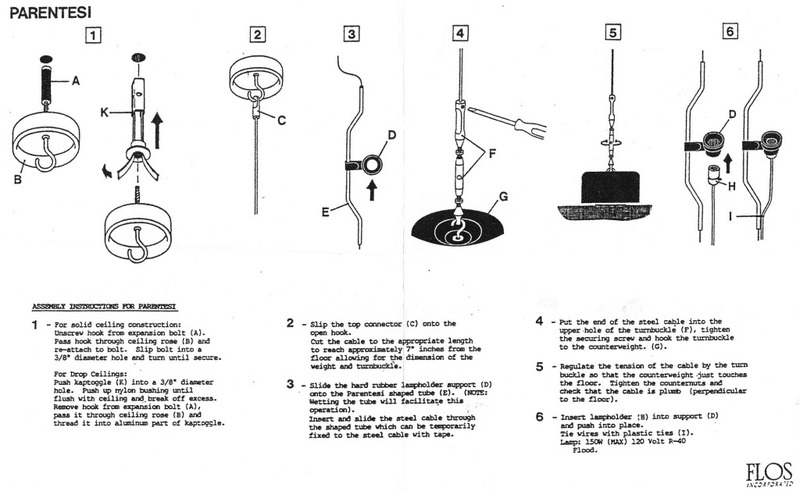 A dimmer is incorporated in the lamp body. 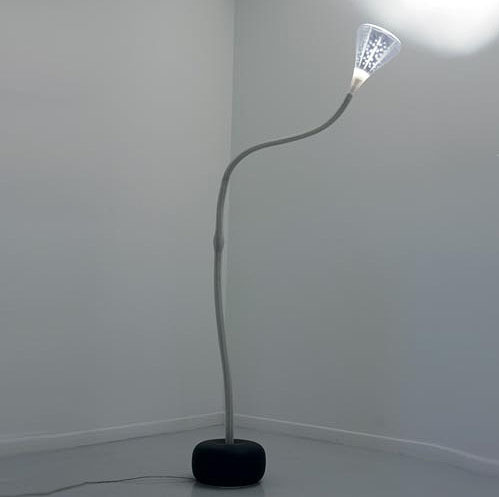 Heavy base is in painted black finish with a special "soft touch" clear silicon coating and an electronic ballast incorporated in the floor lamp base.